News – Page 3 – Shop. Learn. Experience. What Sewing Machine Needle Should I Use? Does this question sound familiar? With so many beautiful and luscious fabrics available in the marketplace, fabric selection has never been greater. When sewing with wovens, knits, stretchy knits, sequin, oil cloth, tulle, batiks, velvets, you are bound to ask, “What needle do I use”? 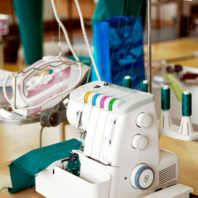 With all of the needle types available for the home sewing machine, how does one choose which one to use? Just as the name suggests, Universal is the most popular needle type because it works well with woven and knit fabrics. BUT, stitch quality frequently improves with a more appropriate needle choice. How do you know what needle to use? The needle name is the first clue. Quilting needles for piecing and quilting projects. Denim needles for jeans and denim raggy quilts. Jersey Ballpoint needles for jersey knit fabrics. However, not all fabrics have a same name needle. Rather than trying to remember what needle to use with what fabric, use technology to help you out! There are several mobile apps available that can assist you. Search your app store for needle selection, and find an app that can help you make these decisions. Choosing the right needles is just the first step. Like so many other things, needles wear out, too! Yes, you really do have the change the needle, after all the needle is not a permanent machine part. The needle is meant to be changed. To tell when to change your needles, check out the “Change Your Needle” clues. 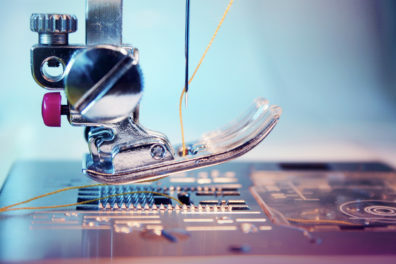 Use the needle too long, and you will see compromised stitches, shredded threads and damaged fabrics and hear the difference in clicks, pops and clunks! Remember needles do not last forever! By selecting the right needle and being sure to change it when needed, your projects are on their way to the sleek, smooth stitching you desire. About the author: Rhonda Pierce is the spokesperson for SCHMETZneedles North America, www.schmetzneedles.com.  Welcome to the Sew Expo Blog! We know how exciting it can be to start a new project. We know how satisfying to can be to make a current project even better. That’s why we’re partnering with some of sewing’s most influential personalities to bring you new ideas and updates. Check back here for helpful pattern and equipment tips along with inspiring articles to ignite your creativity! 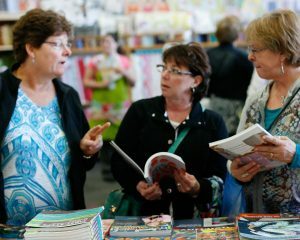 This is also the place to get the latest announcements regarding the Sewing & Stitchery Expo–including ticket sale dates, new classes, scheduled teachers, and much more. You won’t want to miss anything–so sign up for our newsletter and blog updates now!